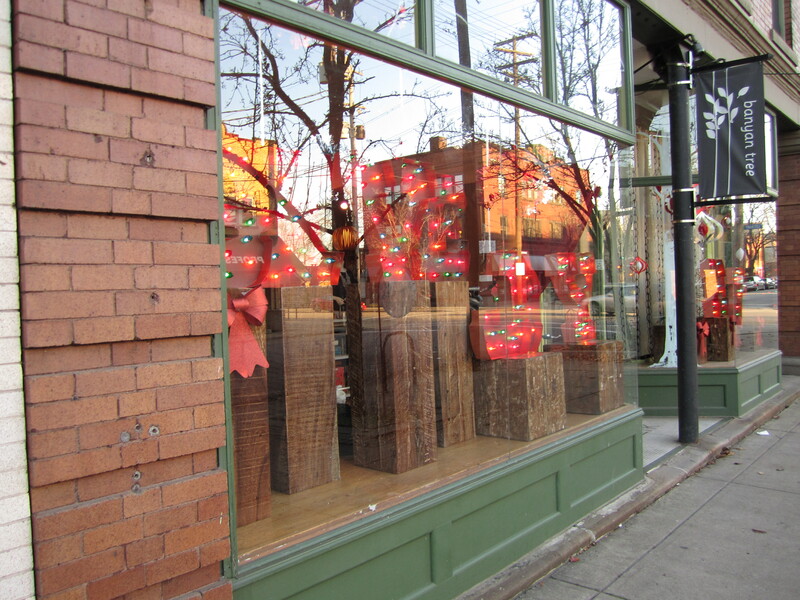 Check out Banyan's warm, glowy holiday window displays on Professor Avenue. I am jazzed to visit Room Service’s new location on W. 25th Street just a few blocks from my house. If you’re looking for Cleveland-centric gifts, this is (hands down) the best place to visit in Cleveland. Many of owner and former designer Danielle DeBoe’s merch is locally made or locally themed. It’s worth visiting her store for the ambiance alone — it’s always gorgeous. The word around that campfire is that Crop is moving into Ohio City this winter, too. Banyan Tree in Tremont has a few new designers, and they’ve never let me down when I’m looking for quirky, beautiful jewelry for a friend. If you haven’t already been hypnotized by Deering Vintage’s elaborate holiday window display, then you haven’t been on W. 14th Street lately. Park in front of the store and check out the owner’s variety of household goods (I just got a beautiful polka-dot glass vase), vintage rhinestone jewelry, and variety of winter coats. The owner, the same woman who ran the amazing Suite Lorain for years, is witty and charming, and she’ll tell you stories about the items you buy. When you’re finished shopping, leave the Christmas lights in your wake, and run across the street to Bak (see below for more on this fabulous newish restaurant).